To promote bicycling and transportation efficiency and reduce vehicle distance traveled. To improve public health by encouraging utilitarian and recreational physical activity. a bus rapid transit stop, passenger rail station, or ferry terminal. All destinations must be within a 3-mile (4800-meter) bicycling distance of the project boundary. Planned bicycle trails or lanes may be counted if they are fully funded by the date of the certificate of occupancy and are scheduled for completion within one year of that date. Provide short-term bicycle storage for at least 2.5% or more of all peak visitors, but no fewer than two storage spaces per project. Provide long-term bicycle storage for at least 5% of regular project occupants but no fewer than 2 spaces per project in addition to the short-term bicycle spaces. Short-term bicycle storage must be within 200 feet (60 meters) walking distance of any main entrance. Long-term bicycle storage must be within 300 feet (90 meters) walking distance of any functional entry. Bicycle storage capacity may not be double-counted: storage that is fully allocated to the occupants of nonproject facilities cannot also serve project occupants. 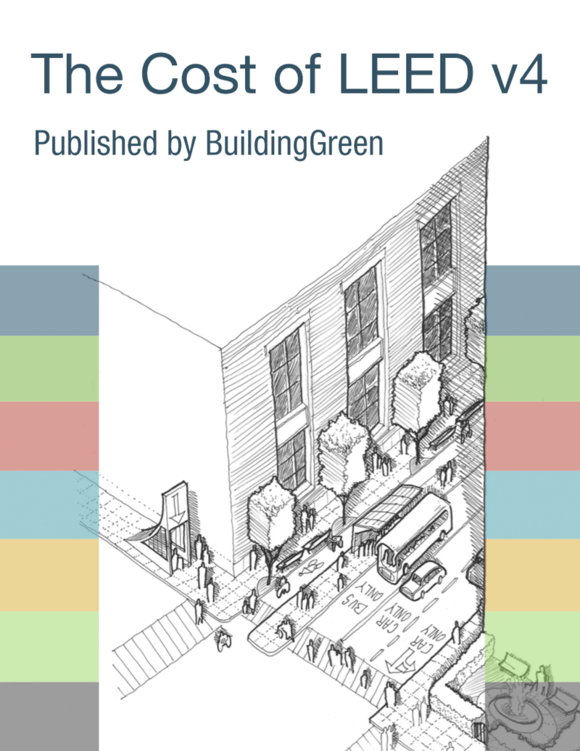 Zero lot line projects may count publicly available bicycle parking towards their short-term storage requirements if it meets the maximum allowable walking distance. Indoor storage is acceptable as long as it meets the walking distance requirements. Vertical distance travelled by elevator is exempt from being counted towards the walking distance. On-site bicycle sharing stations within the project boundary may count for 50% of the long-term and short-term bicycle storage space. Provide at least one on-site shower with changing facility for the first 100 regular project occupants and one additional shower for every 150 regular project occupants thereafter. The following guidance should be applied when determining the number of showers needed for projects with a large number of occupants. Provide at least one on-site shower with changing facility for the first 100 regular building occupants and one additional shower for every 150 regular building occupants thereafter, up to 999 regular building occupants.